Grand house in Hyannis Port proper. Large LR, DR. Large, fully-equipped eat-in kitchen (seats 6). Wireless high-speed internet; 2 TVs, one with DVD/VCR. No A/C. 2 full-size refrigerators. Washer/dryer. Large, flat, enclosed backyard, perfect for family games. Porches front and rear. Plenty of on-street parking. Beach access sticker available with rental (resident access to some beaches; reduced rate at others). My mother bought this house in 1976 as a gathering place for our large extended family (5 children, 11 grandchildren). She lived here full-time until she turned 85, and it's been a vacation home since then. We rent out a few weeks in the summer. We love the backyard, back porch and multiple gathering spots for big groups. We hope you'll have fond memories of staying here as well! Kitchen is fully functional and includes all appliances but is old. The home is 100+ old so be sure you visit or have someone visit before committing. A bunch of adult women got together for a long weekend at this wonderful beach house. Great for communal cooking and dining. Enclosed yard. Easy to rent bikes and bike the trail to the beach. Next to a great walk on the causeway. Close to the ferry to MV. Best for hanging out in this rambling comfortable place. Great sleeping! Large, stately, comfortable. Worked well for our family reunion. No AC but fans and breezes were fine. This is a great house for a family gathering or a reunion with friends. The house is a classic rambling and comfortable Cape summer cottage with numerous spaces for gathering, inside and out, including an eat-in kitchen, covered porch, and a large and lovely back yard which is perfect for games. 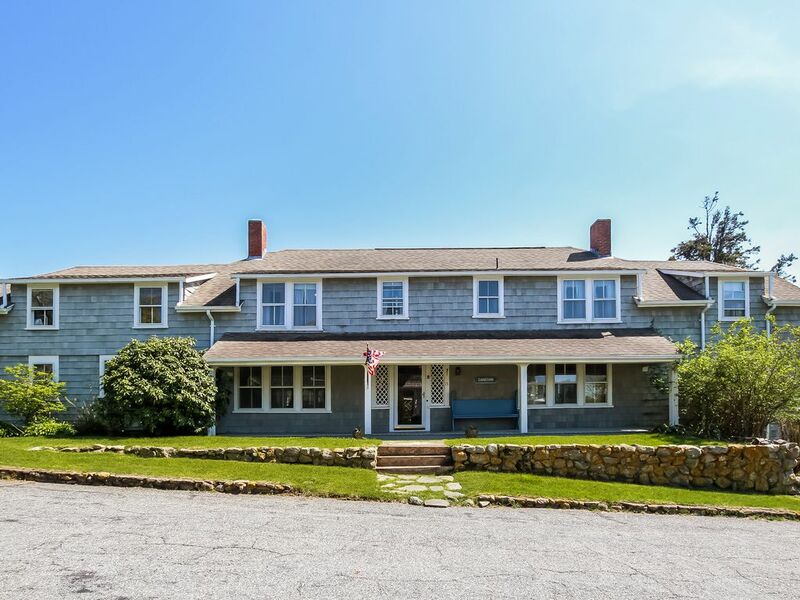 The house is located on a quiet corner within the Hyannis Port Civic Association and is walking distance to a public beach and a short drive to restaurants, shops, and the Nantucket ferry in nearby Hyannis. A great base for exploring the Cape. Located in the lovely village of Hyannisport, easy walk to beach, quiet yard and enclosed back yard ideal for children.